I’m back sharing my favourite posts from last week and it was a lovely week of great posts to choose from. Katy is also sharing her favourite posts, please pop over and see who she choose this week. Laura’s post, Twinning is Winning, brought up a lot of different emotions. It was strange that someone would think she didn’t realise her girls weren’t twins, I mean she was at the birth’s! It made me angry that someone would take the time to tell Laura that she was damaging her daughters, seriously? When I look at Laura’s girls I see their gorgeous blonde hair, their beaming smiles and they are dressed in gorgeous clothes. Yes, they are often in matching clothes, but that isn’t what I see. There are many children in this world that would love to have the choice to twin with a sibling. People need to look at the world we live in and just scroll on by! I love that Laura tackles this head on, pop over for a read if you missed it. Christmas is on it’s way and whilst I’ve done a good job at getting presents, I still have lots to get. Plus we’re hosting Christmas and I haven’t even thought about food it. If your like me and need some organisation, then you need to read Jo’s post, How to prepare for Christmas with a Christmas Planner. Jo is amazing and she will have you organised in no time. Plus there is a free downloadable too! Looking for a great Christmas craft to do? This is the post for you, Paper Bag Turkey Craft. It’s a fun easy one for toddlers to do and I know that Holly would love to make it. And once they’ve finished making it, lots of fun playing with their puppet. In the blogging world there is always a tag post going around and I love this one, Five Funny Things Tag, you can put your own spin on it and Naomi has shared with us 5 funny things she didn’t expect from parenthood. There are quite a few that i can relate to, the main one being I never expected some to call out to me to wipe their bottom and I go running! Fancy a laugh, you need to head over to this one. Got a favourite? 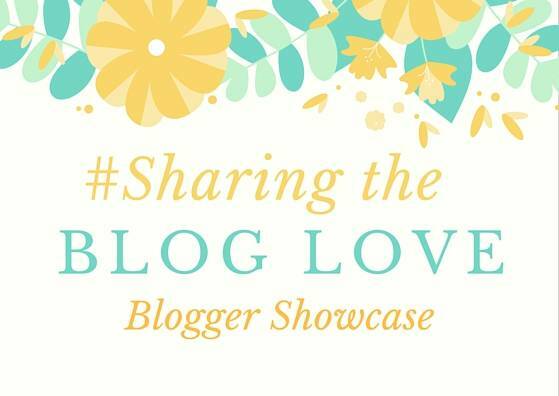 Head over and give it some extra love, after all that is what #SharingtheBlogLove is all about! Loved these. Laura’s one – I mean twinning isn’t something that I’d do, but it’s the parents and children’s choice, noone else’s. It’s another case of people interfering in something that isn’t their business. These roundups are fab, nice to show other people’s great posts.